A renewable source of energy, biomass is primarily obtained from organic matter such as plant and animal waste. It is converted into a combustible gas mixture through the process of biomass gasification. The energy released through this process can be used for cooking food, generating electricity, heating and transportation. Due to rising environmental concerns and increasing green-house gas emissions, countries are now turning towards environment-friendly energy sources, particularly for the production of electricity. According to a latest report by IMARC group titled, “Biomass Gasification Market: Global Industry Trends, Share, Size, Growth, Opportunity and Forecast 2017-2022”, the global biomass electricity production has grown at a CAGR of around 10% during 2009-2016 reaching a value of around US$ 73 Billion in 2016. Electricity production is the largest application area of biomass gasification. Increasing population and urbanisation are the major factors driving the market. The market is expected to reach a value of more than US$ 100 Billion by 2022. The market for biomass gasification for electricity production is expected to reach a value of more than US$ 100 Billion by 2022. The major factor expected to drive this growth is the increasing demand for electricity. It is witnessed mostly in the urbanised regions which are experiencing a sudden surge in the population as more people are heading towards these regions in search of employment opportunities. Apart from this, improving standards of living have also contributed in influencing the demand for electricity, thereby encouraging the global biomass gasification market. 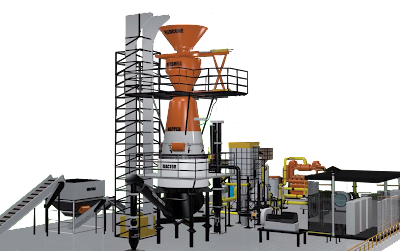 The market for biomass gasification is segmented on the basis of sources from which biomass is obtained such as solid biomass, biogas, municipal waste, liquid biomass, etc. Currently, solid biomass represents the biggest source of biomass electricity production. On the basis of regions, Europe holds the biggest market share followed by North America. An analysis of the competitive landscape provides details of the key players operating in the global biomass gasification market. Some of the major players include Lahti Energia, Vaskiluodon Voima, Essent and Electrabelz. The report provides a comprehensive analysis for setting up a biomass gasification plant. 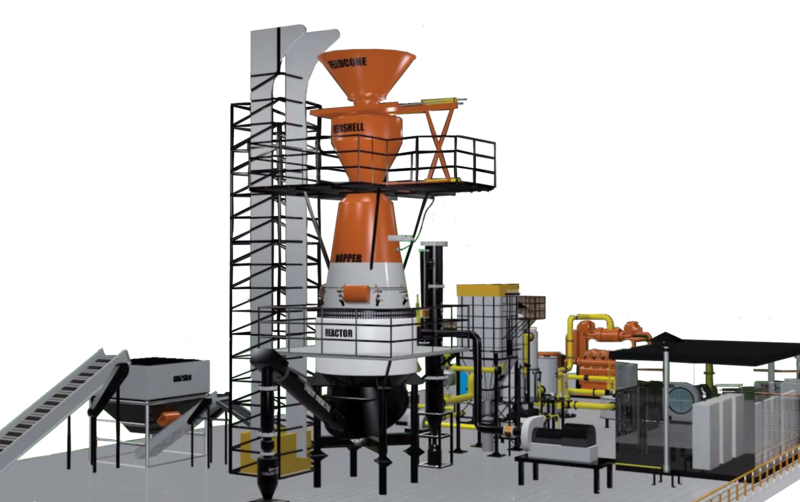 The study covers all the requisite aspects of the biomass gasification market and provides an in-depth analysis of the industry performance, processing and manufacturing requirements, project cost, project funding, project economics, expected returns on investment, profit margins, etc. This report is a must-read for entrepreneurs, investors, researchers, consultants, business strategists, and all those who are planning to foray into the biomass gasification market in any manner. Based on a solid-state technology, LED bulbs emit visible light from a semiconductor chip when an electric current passes through them. These bulbs are up to 80% more efficient and considerably more durable and last up to six times longer than traditional lighting such as fluorescent and incandescent bulbs. Unlike incandescent bulbs, LED bulbs do not cause any heat build-up and help to reduce additional air conditioning costs as 95% of the energy in these bulbs is converted into light and only 5% is wasted as heat. LED bulbs are environment friendly as they do not contain toxic materials and help to reduce carbon dioxide emissions. 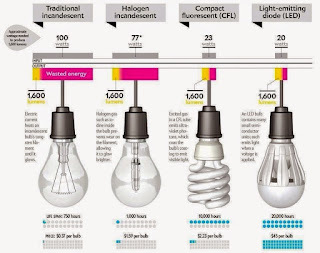 Furthermore, LED bulbs also have a better quality of light distribution as they focus light in one direction as compared to other types of bulbs. The global LEDbulb market has experienced a strong growth over the past several years. Absence of harmful liquid mercury and greater power efficiency have allowed LED bulbs to successfully penetrate the global lighting market. One of the most significant factors that is boosting the demand for LED bulbs is the growing need for low energy consumption across the globe. A rise in green building projects is also contributing towards the growth of the global LED bulb market. Other factors such as increasing population, growing urbanisation rates, infrastructural growth as well as government initiatives to reduce greenhouse gas emissions are further stepping up the growth of this market. LED bulbs have been used as power indicators for appliances since the beginning and are now swiftly revolutionising the global lighting market. They are extensively being used in both the commercial as well as the residential spaces which include offices, hotels, restaurants, malls, showrooms and hospitals. LED bulbs are also suitable for use with small portable generators which can be used by homeowners for backup power in emergencies. In recent years, LED dimmers have gained much popularity and are rapidly replacing halogen down lights and indoor spotlights. 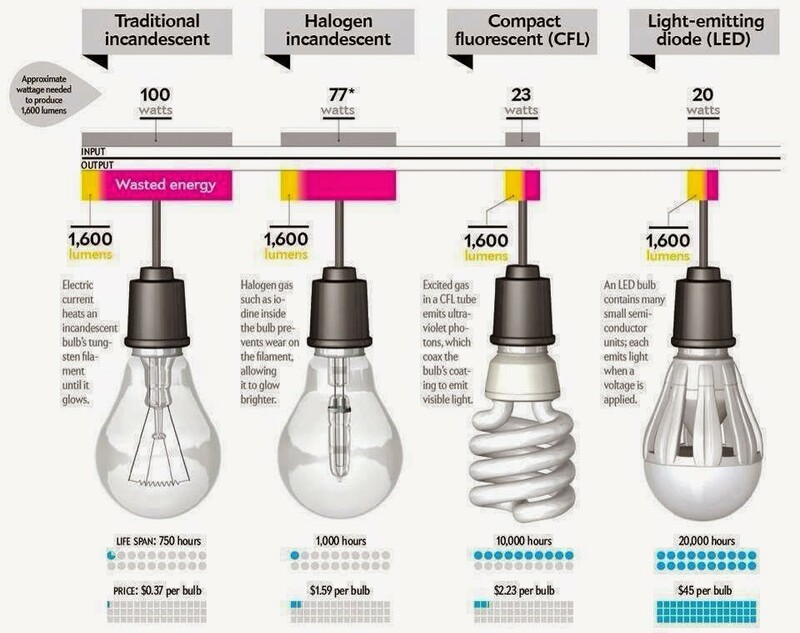 LED bulbs are currently available in many colour temperatures ranging from warm light (yellow) to cool daylight (white) which give the consumers complete control over the lighting of the area. These bulbs are also available in many shapes and sizes which include LED bulb (spot light), LED bulb (classic globe), LED bulb (mini globe), LED bulb (flame tip), LED bulb (candle light) and LED bulb (deco light). Some of the frame designs used for LED bulb lights include thermoplastic housing, aluminium housing and aluminium housing with plastic coating. On a geographical front, the global LED bulb market has a presence in many countries across the globe. China represented the world’s largest market for LED based lighting products and accounted for the majority of the global market share. Other major markets include Europe, North America, Asia-Pacific, Japan, the Middle East & Africa and Latin America. Based on competitive landscape analysis, the highly fragmented global market for LED lighting features a number of small and big players operating in this market. Nichia represented the largest player in this market and accounted for nearly one-fifth of the total global sales. Other top players include Osram, Samsung Electronics, Everlight Electronics, LG Innotek, Epistar, Seoul Semiconductor, Cree, Lumileds and Mulinsen. As a result of its highly perishable nature, cassava is processed into a number of products such as flour, chips, starch, fillets, etc. The food and animal feed industries currently represent the largest consumers of these products. According to IMARC Group, the global cassava processing market has grown at a CAGR of 2.5% during 2008-2015. IMARC Group’s latest report “Cassava Processing Market – Industry Trends, Manufacturing Process, Plant Setup, Machinery, Raw Materials, Cost and Revenue”, provides an in-depth view of the global cassava processing market. Cassava is a tropical crop which is easy to grow and harvest even during adverse conditions. It serves as a staple food for a major portion of the global population living in the tropical and sub-tropical regions. As a result of its high perishability, cassava is processed into a number of products such as flour, starch, chips, fillets, etc. Processing enhances the value of the product by reducing its weight, lessening post-harvest losses, removing naturally occurring toxins and extending its shelf life. According to the report, the global production of cassava reached a volume of nearly 280 Million Tons in 2015, growing at a CAGR of 2.5% during 2008-2015. Cassava products are traditionally used for direct human consumption. This trend, however, is witnessing a shift with industrial applications of cassava products increasing across various regions. In the food industry, cassava flour and starch are widely used in manufacturing bakery products, confectionaries, jams and preserves, canned fruits, MSG, caramel, etc. Cassava chips and pellets are mainly used by the animal feed industry. Other industries where cassava products are used include – paper and cardboard, ethanol, textiles, glues and adhesives, pharmaceuticals, etc. Currently, half of the total cassava produced is used by the food industry. It is followed by the animal feed industry and others. The report has analysed the market on the basis of key global regions. Nigeria represents the largest producer of cassava accounting for around a fifth of the total global production. Other major cassava producing countries include Congo, Indonesia, Thailand and Brazil. The report has further analysed the key global players operating in this market. Some of the major companies covered by the report include – Cargill Incorporated, Global Bio-Chem Technology Group, Avebe U.A., Penford Corp and Ingredion. The report provides a detailed roadmap for setting up a cassava processing plant. The study, which has been done by one of the world’s leading research and advisory firms, covers all the requisite aspects of the cassava processing industry. This ranges from a comprehensive view of the market to minute details of the industry performance, processing requirements, project cost, project funding, project economics, expected returns on investment, profit margins, etc. This report is a must-read for entrepreneurs, investors, researchers, consultants, business strategists, and all those who are planning to foray into the cassava processing industry in any manner. The global peanut butter market has grown at a CAGR of around 6% with sales reaching US$ 3 Billion in 2015. Although, peanut butter is a popular part of the American diet, its presence in other markets is significantly low. However, growing emphasis on the nutritional value of peanut butter is gradually leading to its popularity in the emerging markets. According to IMARC Group, the unpenetrated markets, outside the United States and Canada, will account for the majority of the growth during 2016-2021. In a recently published report by IMARC Group titled “Peanut Butter Market: Industry Trends, Manufacturing Process, Plant Setup, Machinery, Raw Materials, Cost and Revenue”, a thorough analysis of the global peanut butter market has been provided along with the market size, trends and future growth prospects. Currently, the presence of peanut butter is more prominent in the west, especially in the United States and Canada, as compared to its penetration in the Asian and other developing regions. However, the growing awareness about the various uses of peanut butter is gradually advancing its consumption in the emerging markets. Peanut butter finds wide ranging applications in the food and beverage industry. Being a low-calorie product with high protein content, it possess high nutritional value and as a result of which, it’s used as a healthy substitute for milk butter. It is extensively used as a spread, in breakfast foods, savoury sauces, smoothies and innumerable bakery products. According to the report, the global peanut butter market has grown at a CAGR of 6% during 2008-2015 with sales reaching US$ 3 Billion in 2015. Several factors are currently at play that are augmenting the demand for peanut butter. They include the growing demand for low calorie nutritious/healthy products, innovation of new blends and flavours, increasing disposable incomes, changing lifestyles along with a shift towards convenience foods and an increasing demand from emerging markets. This report provides a detailed roadmap for setting up a peanut butter manufacturing plant. The study covers all the essential aspects of the peanut butter industry and provides an in-depth analysis of the market, industry performance, processing and manufacturing requirements, project cost, project funding, project economics, expected returns on investment, profit margins, etc. This report is a must-read for entrepreneurs, investors, researchers, consultants, business strategists, and all those who have any kind of stake or are planning to foray into the peanut butter industry in any manner. Vinegar is a sour-tasting liquid prepared by the fermentation of dilute alcoholic liquids - typically wine, cider or beer. Being a good source of vitamin B-1, riboflavin as well as mineral salts, vinegar has been considered as an essential ingredient in food preparations for centuries. Its tangy taste reduces the need for salt in many soups and bean dishes. Although mainly used as a flavouring and preserving agent in the food and beverage industry, vinegar has gained prominence across various other industries due to its innumerable benefits. The therapeutic properties of vinegar has enabled its applications in the healthcare industry. Vinegar helps to reduce cholesterol levels, control blood sugar levels, replace unhealthy sodium and combat diabetes, weight loss and cardiovascular diseases. Moreover, it also acts as a natural cleaning agent due to its antimicrobial properties, thereby facilitating its usage in the cleaning industry as well. Further, vinegar also finds applications in the agriculture industry where it is used as a herbicide. Driven by its multiple uses, the global vinegar market has been growing continuously over the past decade and according to research analysts at IMARC Group, this market was worth US$ 1.23 Billion in 2015. It is further anticipated to grow at a CAGR of 2.8% during 2016-2021, reaching US$ 1.44 Billion by 2021. Vinegar has multifunctional properties and is gaining popularity among consumers as new blends, applications and specialty products continue to enter the market. The increasing usage of vinegar in various cuisines has led to an increase in the global demand for vinegar. This is due to the consumers’ growing interest in cooking different types of cuisines which require different dressings that have vinegar as one of the essential ingredients. Other factors that have influenced the demand for vinegar include population growth, rising disposable incomes, increasing health consciousness and growing food and beverage industry. The global vinegar market can be segmented on the basis of product type - balsamic vinegar, white vinegar, red wine vinegar, cidar vinegar and rice vinegar. Each of these types has a very different and useful purpose. Among these, balsamic vinegar exhibited a clear dominance in the market accounting for nearly 30% of the total global market. On a geographical front, the market has a presence in many countries across the globe. Europe was the world’s largest market accounting for more than half of the total global market share. In Europe, Italy represented the largest market and the world’s largest exporter of vinegar. Europe was followed by North America and Asia-Pacific. The highly fragmented global market for vinegar features a number of small and big players operating in the market. Some of the key players are Acetificio Acetum S.R.L, Acetificio Marcello De Nigris, Aspall, Burg Groep B.V., Castelo Alimentos S/A, Fleischmann’s Vinegar Company, Inc., Heinrich Frings GmbH & CO KG, Heinz U.S.A, Mizkan Americas, Inc., Monari Federzoni S.P.A., National Vinegar Company, Old Dutch Mustard CO., Inc., Ponti S.P.A., Porta Hnos S.A. and Reinhart Foods Limited. The global vinegar market is a consumer-oriented industry with keen competition among its players, as a result of which, companies need to reinvent business and market strategies for their survival. Some of the success factors that will ensure greater output and higher profitability include Improving the product quality, aggressive marketing, manufacturing efficiency and a strong distribution network. Processed tomato products have a longer shelf life and are more convenient to use compared to fresh tomatoes. We expect the global tomato processing market to grow at a CAGR of 2.5% during 2016-2021 reaching a volume exceeding 39 Million Tons by 2021. 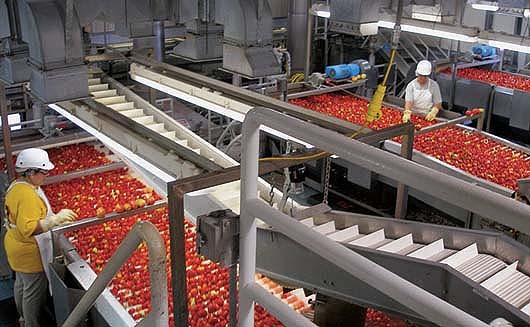 IMARC Group’s latest report titled, “Tomato Processing Market – Industry Trends, Manufacturing Process, Plant Setup, Machinery, Raw Materials, Cost and Revenue” provides an all-inclusive study of the global tomato processing market. Despite being berry-fruits, tomatoes are consumed all over the world as culinary vegetables. They are considered as a functional food as they are a rich source of numerous vitamins, minerals, antioxidants and dietary fibre. Tomatoes help in preventing and controlling a number of health conditions such as cancer, cardio-vascular diseases, diabetes, constipation, depression, etc. They are also beneficial in maintaining a healthy blood pressure as well as healthy eyes and skin. Today, nearly 80% of the tomatoes produced worldwide are consumed fresh, and the rest are processed. Processed tomatoes can be stored for a long time and are widely used in making sauces, purées, ketchups, soups, juices, pickles, etc. Moreover, processed tomatoes are a better source of certain nutrients than fresh tomatoes since processing makes the synthesis of these nutrients by the body easier. According to the report, the global tomato processing market reached a volume of around 34 Million Tons in 2015. This market is being driven as a result of convenience of storage and use, changing food habits of consumers, emerging markets and a growing fast food industry. IMARC Group expects the consumption of tomatoes for processing to grow at a CAGR of 2.5% during 2016-2021 reaching more than 39 Million Tons by 2021. The report segments the market on the basis of product type. Currently, sauces account for nearly a third of the total processed tomato consumption. Sauces are followed by pastes, canned tomatoes, ketchups and juices. The report has also segmented the market on the basis of key global regions. The United States currently represents the world’s biggest market for processed tomatoes accounting for more than a third of the total global production. The United States was followed by Italy, China, Turkey, Iran, Spain and Brazil. The report has also analysed the major players operating in the market. Some of these players include – Morning Star, Tunhe, Chalkis, Ingomar Packing and JG Boswell. The report gives a detailed roadmap for starting a tomato processing plant. The study, done by one of the leading research and advisory firms, covers all the requirements of the global tomato processing market. This ranges from a comprehensive view of the market to minute details of the industry performance, processing & manufacturing requirements, project cost, project funding, project economics, expected returns on investment, profit margins, etc. This report is a must-read for entrepreneurs, investors, researchers, consultants, business strategists, and all those who are planning to foray into the tomato processing market in any manner. LED street lights are actively substituting conventional street lights across the globe. Some of the key factors driving their growth include: government initiatives to reduce greenhouse gas emissions, energy efficiency, longer life span, innovations in design and a growing demand from emerging markets. Street lights play a crucial role in the safety and security of public streets and places. With growing economies and infrastructural developments, the number of street lights has also grown over the past several years. A new report released by IMARC Group titled “LED Street Light Market – Industry Trends, Manufacturing Process, Plant Setup, Machinery, Raw Materials, Cost and Revenue” critically examines the global LED street light market. 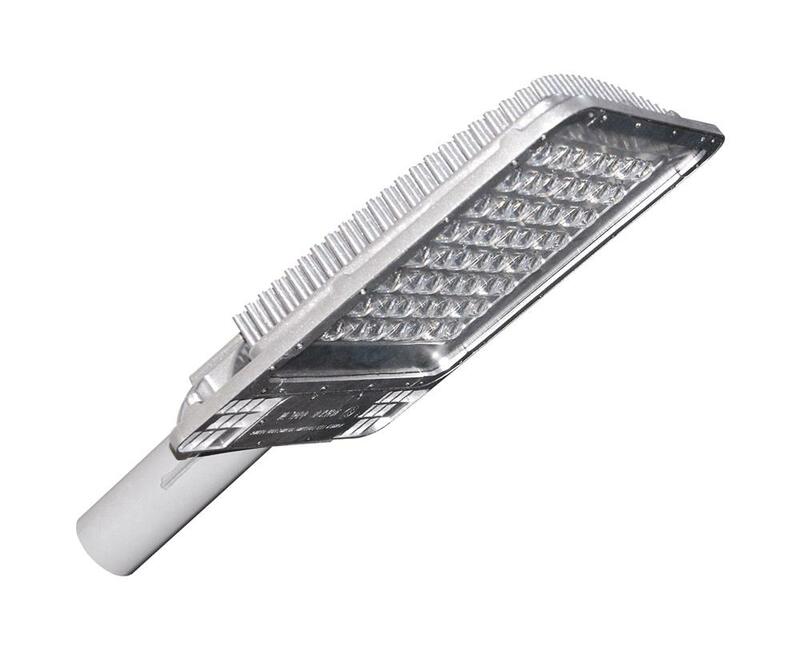 LED street lights are promptly switching the old street light technology in the commercial as well as the residential sectors as they are more energy efficient, have longer life span, contain no harmful substances and offer low maintenance costs. The global LED street light market has come a long way over a period of time and is envisaged to witness a tremendous growth in the upcoming years. The major factors that have been proactive in maintaining a stable growth of this market are growing urbanization rates, infrastructural development, falling LED prices, introduction of innovative products by manufacturers, various government initiatives to reduce carbon emissions and growing demand from emerging regions. The report has segmented the global LED street light market on the basis of key application areas. LED street lights are used in highways and roadways to provide a safe and convenient driving route at night. Apart from highways, LED street lights are also used in railway crossings, tunnels and bridges, housing complexes and warehouses, residential street lighting, industrial parks and rural intersections. This report has provided a detailed technical insight on setting up and operating an LED street light manufacturing plant. It covers all the prerequisites of the LED street light industry and provides a comprehensive analysis of the market, industry performance, market share analysis of key regions along with profiles of major players, processing and manufacturing requirements, project cost, project funding, project economics, expected returns on investment, profit margins, etc. In order to provide a clearer picture, the report has also presented this information in the form of a dynamic excel model where users can analyse the entire information and also change various inputs according to their requirements. This report is a must-read for entrepreneurs, investors, researchers, consultants, business strategists, and all those who have any kind of stake or are planning to foray into the LED street light market in any manner. © Copyright 2016 International Market Analysis Research & Consulting Group. Simple theme. Powered by Blogger.